With only four months left until the show, sponsorship opportunities are filling up fast! With our sponsorship opportunities, you can build your brand and reputation while reaching millions of customers and companies through media and marketing partnerships. You will also have the chance to promote your business at one of the largest business-for-business conferences, trade shows, and networking events in the region. Becoming a sponsor for the Show not only means you get to reap the many benefits of the event, but you also gain a variety of opportunities to market your business through other areas of media and marketing that can benefit your company now and in the future. 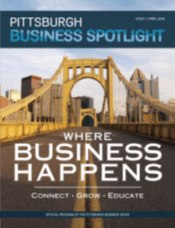 The Pittsburgh Business Show goes beyond just a two-day event by providing businesses with the opportunity to become part of a business-for- business networking event that continues to promote and support partners and sponsors throughout the year. Becoming an active sponsor of the show now and in the future, you can build your network and gain a source that to help generate hot leads to bring your business new and exciting opportunities. Don’t Miss Your Chance to Become a Sponsor for the 2019 Show! The Business Show is a one-of-a-kind event with more than one hundred thousand square feet of exhibitor space and thousands of executives, business owners, and professionals attending. At the Show, you’ll make valuable connections with Pittsburgh business owners who want to use your services, buy your products, or form mutually beneficial partnerships. Expand your client base and gain more leads at the city’s largest business-for-business networking event while you contribute to a show that helps companies in our region grow and succeed. Industry limits for Sponsors are in effect and spaces are filling up fast, so be sure to contact us today!